Let the professionals at Lynx Landscaping handle the heavy work. We can can help transform any property into a place of beauty. From planning and design to complete project completion and maintenance, we offer a complete range of landscape excavation services to meet all of your needs, from Vancouver and Burnaby, to Langley and Surrey, and as far as Abbotsford. 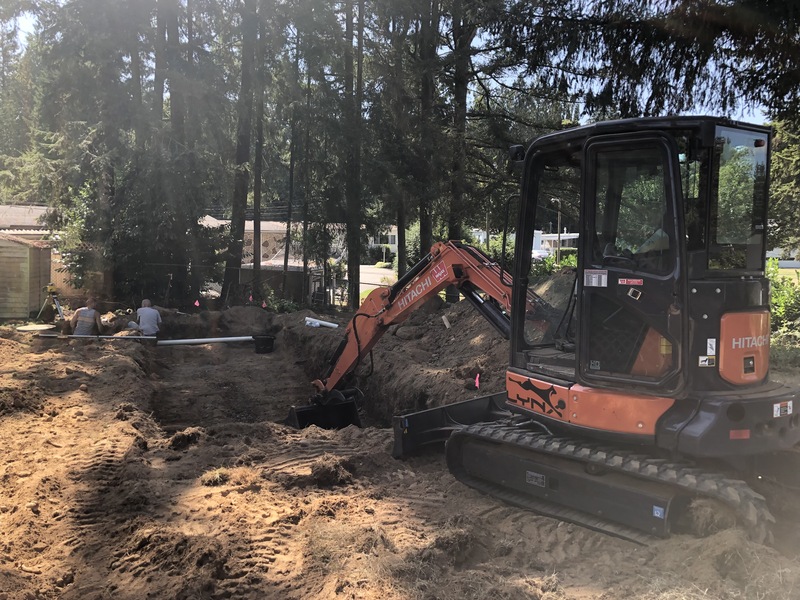 Lynx Landscaping provides trenching, excavation of pools and hot tub areas, backfill of foundations, grading and leveling of yards, demolition including removal of driveways and walkways, concrete breaking, tree stump removal and rock placement. Lynx Landscaping has a vast variety of small and large machines, so we can tackle any job. Give us a call today!